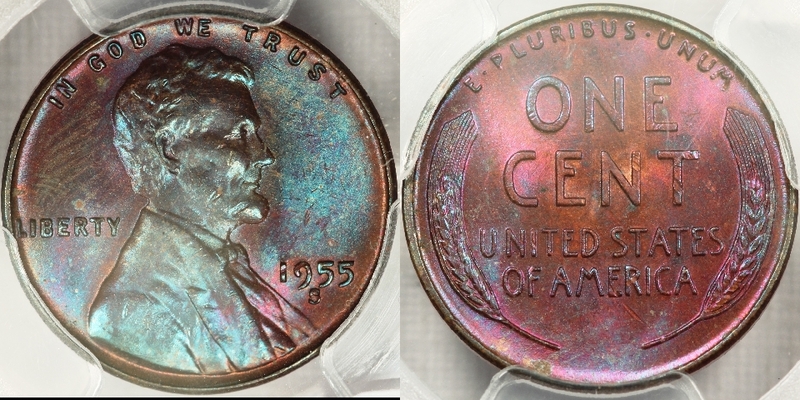 We recently acquired the highest graded (by PCGS) 1912 Matte Proof Lincoln cent, which has wonderful color! We have some nicely toned half cents and cents. Color is much more intense than in the pic. Was $425.